The Phillies entourage is heading back to Philly this evening. In the last day of the Winter Meetings the Phillies grabbed a pair of pitchers in the Rule 5 draft, left-handed starter Travis Blackley and right-handed reliever Lincoln Holdzcom. Both will be in camp that starts on February 14 for pitchers and catchers. Arms are such a premium it is worth checking them out. The price was $50,000 each. How do the Phillies go about finding players for the Rule 5 draft? (1) All the minor league development personnel (managers, coaches, instructors) file reports on players they see and like from other minor league organizations. 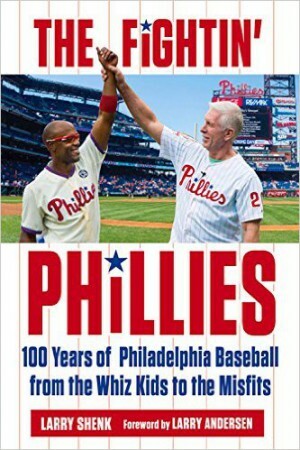 (2) The Phillies have a staff of four scouts who concentrate on following pro teams. (3) Scouting coordinators, regional supervisors and amateur scouts add pro coverage to their schedules once the June draft is over. In the case of Blackley, Charley Kerfeld and Joey Davis turned in reports. For Holdszom, it was Del Unser, Ron Hansen and Kerfeld. Years ago, scouting reports filled several large three-ring binders. The books weighed a ton. Quite a few suitcases have gone to suitcase heaven after lugging these reports. Today, it is all computerized. Numerous staffers under Pat Gillick review all the reports and create a potential list. Follow up conversations with the scouts who filed reports often take place to narrow the list. The idea is to get as much information on the player as possible. Time will tell if Blackley and Holdzcom can help the 2008 staff. The Phillies’ needs remain a starter, reliever, a fifth outfielder and an upgrade at third base. Some groundwork was laid this week future deals or signings. Just because the meetings ended, doesn’t mean the Phillies are done trying to improve the club. As has been said before, there’s a long way between now and opening day. Since the season ended, the Phillies have made improvements: Brad Lidge became the closer, Brett Myers moved into the rotation and J. C. Romero was added to the bullpen. That’s not putting the gear shift in reverse. What was reported here yesterday isn’t much different from today: 8 a.m. meeting, followed by phone calls, conversations and then a 3:30 gathering in the Phillies’ Suite. More updates from other clubs on the trade front and discussions with agents for free agents. From the major league end, the meetings end with the Rule 5 draft tomorrow morning. The Phillies continued to pour over their options and placed them in a pecking order, first choice, second, third and fourth. Releasing RHP Julio Mateo today opened up another roster spot. The Phillies go into the draft with 38 players on the winter roster, two shy of the limit. 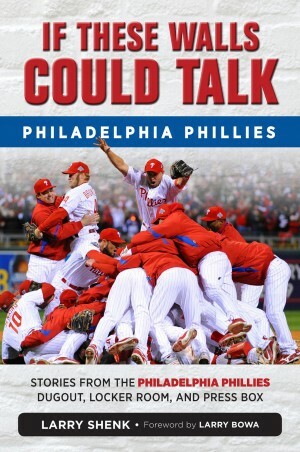 It is possible the Phillies will select one or two players. And, it is also possible their selections will be gobbled up before they get a chance to draft. Among the teams that don’t have full rosters, the Phillies will select 15th. The potential also exists that they can trade up to get an earlier pick. Charlie Manuel had a full day……a 30-mimute session with the media at 9:30 a.m. in the working media room, an interview with MLB.com, an interview with Scott Palmer for this website a managers luncheon with the media and an interview with Kevin Kennedy on XM Radio at 4 in the afternoon. Brandon Inge has been mentioned in comments. Once again, we can’t comment on him because of the tampering rule. Much the same as yesterday, more updates on trade possibilities and free agent signings. As Ken Mandel has reported the Phillies have been in contact with the agent for Tadahito Iguchi to play third base. Pat Gillick and some of his people ran into the agent at the ice cream parlor in the Delta plaza. Later, Pat and his people were in a serious discussion while sitting at the idle XM broadcasting table where the morning show takes place every day. Pat will be at the same table at 7:05 Wednesday morning as a guest with Buck Martinez. The 3:30 afternoon meeting covered a lot of ground as different staffers reported different updates. Wish more inside could be provided but what happens in the suite stays there. The Rule 5 draft is Thursday morning and the Phillies are still checking out some potential players to be drafted. The big Marlins-Tigers deal appears to be for real. Sometimes trade rumors turn out to be accurate. Other times, announcements pop without advance warning (our deal for Brad Lidge, for example). In mid-afternoon, the Marlins-Tigers rumor began to circulate but one didn’t know how hot it was because Miguel Cabrera was supposedly headed to other clubs. The rumor that free agent outfielder Jose Guillen is getting $12 million a year for three years from KC certainly has to make Aaron Rowand smile. We are still talking with Aaron’s agent but his market continues to climb. As has been reported in several circles, his agent is looking for 5-6 years and many bills. Trading prospects was mentioned in respond to yesterday’s Insider. The biggest problem we face, which has been addressed by Pat and his two assistants, is that we right now don’t have a surplus of young prospects to trade. Many clubs are looking for young players who are ready for the big leagues next year. Our better prospects are down farther than AA or AAA. Trading three or four young prospects can really set back the player development program. It can take several years to recoup. We’ve been through that. The lifeline of a solid major league organization is scouting and developing your own players. Noticed a comment in yesterday’s Dodgers blog about Cabrera going there: “The demands simply are too high for it to fit right now.” Sometimes the demands of other clubs are too high. Making trades on paper is easy. In real life, it is very difficult. Updates on the trade front and looking over possibilities for Thursday’s Rule 5 draft basically occupied the Phillies’ suite today in day 2 of the Winter Meetings. Pat Gillick and his team met at 8 a.m., scattered on intelligence missions, reconvened at 2:30 to go over potential players they could select on Thursday and then received progress reports on discussions with other teams. Gordon Lakey, the Phillies veteran Major League scout, says the Opryland Hotel is a tough place to track someone down because of its vastness. Last year in Orlando, there was a gigantic circular lobby that was packed constantly with baseball people. Teams that don’t have a full 40-man roster can select players for $50,000 on Thursday morning. The Phillies have the 24th overall pick but when you pull out teams with full rosters, the Phillies number drops to 15th. The Phillies currently have space for one player. Over the course of years, the Phillies have taken different approaches to the Rule 5 draft. Coming off the NL East championship, the Phillies are looking for someone who could slot into the pitching staff or the extra outfielder role. During lean years, the club would considerf a young player out of A ball, someone they could carry on the 25-roster for the full season. A Rule 5 selection has to stay on the big league roster the entire year or be offered back to the club from which the player was selected. The two most notable Rule 5 draftees for the Phillies are Dave Hollins and Shane Victorino. Their biggest loss: OF George Bell, selected by Gillick when he was with the Blue Jays in the 1970s. Gillick left the room to attend the minor league awards luncheon at noon and again at 4:30 for his daily press briefing with five Philly writers. Leslie Gudel from Comcast SportsNet is here for the week and Pat did a 1-on-1 interview with her. He also did a solo interview with Scott Palmer for this website. The informal briefing took place in the corner of the expansive lobby to the Delta Convention Center. That lobby was buzzing. MLB.com had a large studio set; ESPN TV was 100-feet away with another studio and XM Radio was set up in another corner. Inside the large media workroom, hundreds of reporters were knocking out stories for the papers or websites. It is quite an impress scene. A reader inquired as to the Phillies’ interest in Eric Bedard, the Orioles LHP. I’m sorry, but discussing other team’s players can lead to a tampering charge. It is best I refrain because I don’t want to stick the Phillies with a stiff fine. Hope you understand. Pitching is still number one on the Phillies’ shopping list as the 106th edition of Baseball’s Winter Meetings got underway today. Pat Gillick huddled with his staff in the club suite in late afternoon to touch base on where the Phillies stand. Gillick assigns his staff to different clubs. For example, Major League Scout Gordon Lakey may have three clubs. He’ll spend time checking with those clubs to see if there is a fit for a trade. In many cases, pounding the lobby would be part of Lakey’s schedule. The Gaylord Opryland Resort Hotel is a sprawling complex spread out over nine acres. There’s one lobby near the registration desk, but not one conducive to lobby sitting. This place is so large Major League Baseball has set up a program for all GMs in which someone from the hotel staff will take Gillick (for example) to another club’s suite if he has a meeting with a particular club. Otherwise, Gillick would need a compass, a map and roller skates. Ruben Amaro will spend most of his time conversing with agents. He’s spoken several times last week with the agents for Aaron Rowand and Kyle Lohse. Both are seeking long-term deals. With the signing of Tori Hunter, the market has been set for centerfielders. Rowand and Andruw Jones will try to ride that wave. Starting pitchers may hold on to see when and if Johan Santana is traded. The team acquiring Santana would attempt to sign him to a multi-year contract at gigantic numbers. Once that happens, the market has then been set. Gillick will reconvene his staff early in the morning and again in mid afternoon each of the next three days to learn of the latest intelligence. In response to some comments posted here…. **Most of the hiring at these meetings is on the minor league level, as far as the business side of the game. Occasionally, a major league team might make a hiring on the minor league player development level. Probably a couple hundred young folks will be looking for jobs in the game this week. Starting in the minor leagues is a great way to begin a career. **I’m sorry, but we didn’t come up with an alternate home uniform to copy the Eagles’ throw-back uniform they wore earlier in the NFL season. Baseball has been ahead of football in this area. Remember, we wore an all-burgundy uniform in 1979, I believe. We lost the game and never saw those uniforms again. Larry Christenson was the starter and loser in that game. “LC” still complains that we asked him to wear the burgundy uniform during the 2003 Veterans Stadium closing ceremonies. **Chances are the 25 players that will take the field on opening day next year won’t be determined until spring training. A roster this month most likely will change before the March 31 opener.